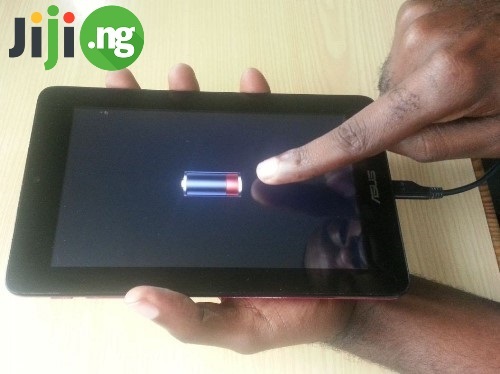 Yes, buying a used tablet will allow you to save some money, but only if you are able to quickly check its performance! Usually, you don’t have much time for this. So what exactly and how should you check? We are going to share this life hack with you - read this post and make only successful purchases! 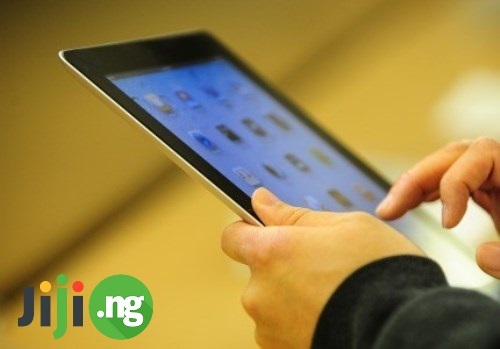 Do you want to buy a used tablet quickly and inexpensively? Do you want to see lots of photos of the device and discuss with the seller all the details before buying? Visit https://jiji.ng/used-tablets: the lowest prices on products from real sellers from all across Nigeria, and the largest selection on the web! Do you often have to look for something for a long time before buying? Do not waste your time in vain - buy on Jiji: our effective search system with convenient filters will help you find the desired product in a couple of minutes! 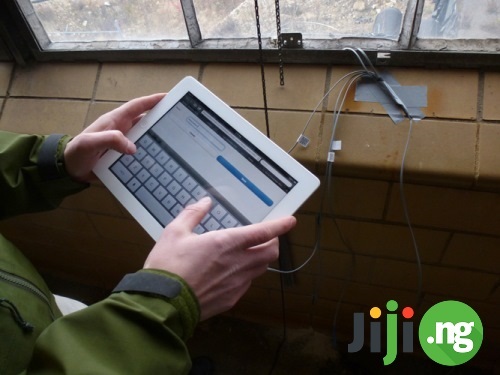 Save your time & money with Jiji! Pay attention to the screw caps. They must be free from any damage or scratches that could have been left by a screwdriver. Such traces are always a sign that the device could have been repeatedly repaired. Squeeze the tablet a little to search for a possible backlash. Put pressure on the back part and in the corner area. The device should not squeak or crack. Check operability of the volume buttons, power or other mechanical interface elements. Check the screen for dead pixels or dust under the glass. To locate a dead pixel, upload a black or white picture to the screen. If you find a contrasting point - ask for a discount or even refuse from the purchase, because the defective pixels will appear more and more obvious in the process of using the tablet. Carefully look for yellowish spots on the white background. 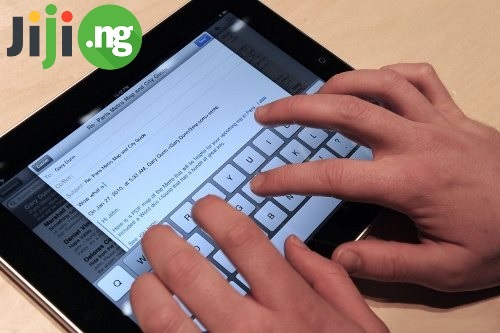 Take a look at the tablet along the screen – the matrix should be even. If the previous owner hasn’t been very careful with the tablet, and carried it around without a cover, dust may have accumulated under the screen glass. You could notice it on the white and black background. It looks like a dead pixel. To test the sensor, touch different parts of the screen. This test is simple but it will easily help you find the "dead zones". Note the speed and accuracy of the sensor response in different parts of the screen. Test the headphone jack (play some music at maximum volume – you should not hear any wheezing). Don’t forget to check the serviceability of front and rear cameras, make a few photos|videos and check the results. Turn on the Wi-Fi: if there are no free connections, the gadget must find plenty of secure connections. You can use Antutu Benchmark soft that will help you check the speed of the tablet. Do not forget the battery, in case it can no longer hold the charge. The viability of the battery can be determined by various applications. Try to charge the tablet for 5-10 minutes; it should not get noticeably warmer! 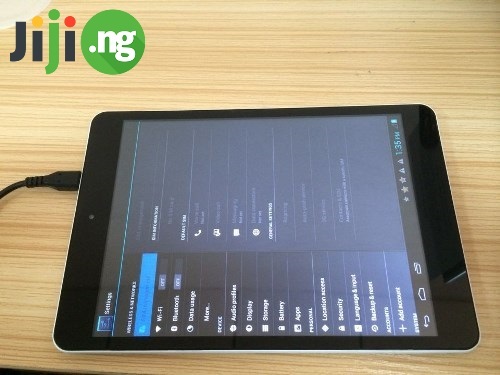 You can get used tablet for as low as N10,000 from reliable sellers on jiji, use the search box to look for what you need, check the buyer and make the offer. Why not use the new Veryfier app to hire an independent third-party person to go out inspect and check the item before you purchase? It is really important that the inspection should be done by a 3rd party person who will give an honest review and report. Download the app at the Veryfier website or go to iTunes store.